For those of you who follow me here at Yet Another Linux Blog you might be wondering where I went the last month.ÃƒÆ’Ã†â€™ÃƒÂ¢Ã¢â€šÂ¬Ã…Â¡ÃƒÆ’Ã¢â‚¬Å¡Ãƒâ€šÃ‚Â I assure you IÃƒÆ’Ã†â€™Ãƒâ€šÃ‚Â¢ÃƒÆ’Ã‚Â¢ÃƒÂ¢Ã¢â€šÂ¬Ã…Â¡Ãƒâ€šÃ‚Â¬ÃƒÆ’Ã‚Â¢ÃƒÂ¢Ã¢â€šÂ¬Ã…Â¾Ãƒâ€šÃ‚Â¢m still here and I still use Linux every single day.ÃƒÆ’Ã†â€™ÃƒÂ¢Ã¢â€šÂ¬Ã…Â¡ÃƒÆ’Ã¢â‚¬Å¡Ãƒâ€šÃ‚Â IÃƒÆ’Ã†â€™Ãƒâ€šÃ‚Â¢ÃƒÆ’Ã‚Â¢ÃƒÂ¢Ã¢â€šÂ¬Ã…Â¡Ãƒâ€šÃ‚Â¬ÃƒÆ’Ã‚Â¢ÃƒÂ¢Ã¢â€šÂ¬Ã…Â¾Ãƒâ€šÃ‚Â¢m currently running both Arch Linux (32bit) and Unity Linux (64bit) on my main computer. IÃƒÆ’Ã†â€™Ãƒâ€šÃ‚Â¢ÃƒÆ’Ã‚Â¢ÃƒÂ¢Ã¢â€šÂ¬Ã…Â¡Ãƒâ€šÃ‚Â¬ÃƒÆ’Ã‚Â¢ÃƒÂ¢Ã¢â€šÂ¬Ã…Â¾Ãƒâ€šÃ‚Â¢ve been working pretty hard through the holidays at my full time job where I am a server administrator for a medium sized hospital in the U.S.ÃƒÆ’Ã†â€™ÃƒÂ¢Ã¢â€šÂ¬Ã…Â¡ÃƒÆ’Ã¢â‚¬Å¡Ãƒâ€šÃ‚Â Recently (in December), I moved 2000+ users from Exchange 2003 to Exchange 2007. ÃƒÆ’Ã†â€™ÃƒÂ¢Ã¢â€šÂ¬Ã…Â¡ÃƒÆ’Ã¢â‚¬Å¡Ãƒâ€šÃ‚Â We considered farming out our Exchange environment to the cloud or perhaps going with Microsoft Exchange Hosting services but in the end, upper management decided theyÃƒÆ’Ã†â€™Ãƒâ€šÃ‚Â¢ÃƒÆ’Ã‚Â¢ÃƒÂ¢Ã¢â€šÂ¬Ã…Â¡Ãƒâ€šÃ‚Â¬ÃƒÆ’Ã‚Â¢ÃƒÂ¢Ã¢â€šÂ¬Ã…Â¾Ãƒâ€šÃ‚Â¢d rather underpay someone to work exceedingly long hours with minimal training on a system not built by him. ÃƒÆ’Ã†â€™ÃƒÂ¢Ã¢â€šÂ¬Ã…Â¡ÃƒÆ’Ã¢â‚¬Å¡Ãƒâ€šÃ‚Â So, thatÃƒÆ’Ã†â€™Ãƒâ€šÃ‚Â¢ÃƒÆ’Ã‚Â¢ÃƒÂ¢Ã¢â€šÂ¬Ã…Â¡Ãƒâ€šÃ‚Â¬ÃƒÆ’Ã‚Â¢ÃƒÂ¢Ã¢â€šÂ¬Ã…Â¾Ãƒâ€šÃ‚Â¢s why IÃƒÆ’Ã†â€™Ãƒâ€šÃ‚Â¢ÃƒÆ’Ã‚Â¢ÃƒÂ¢Ã¢â€šÂ¬Ã…Â¡Ãƒâ€šÃ‚Â¬ÃƒÆ’Ã‚Â¢ÃƒÂ¢Ã¢â€šÂ¬Ã…Â¾Ãƒâ€šÃ‚Â¢ve been pretty inactive as of late.ÃƒÆ’Ã†â€™ÃƒÂ¢Ã¢â€šÂ¬Ã…Â¡ÃƒÆ’Ã¢â‚¬Å¡Ãƒâ€šÃ‚Â As you can imagine working with Microsoft technologiesÃƒÆ’Ã†â€™Ãƒâ€šÃ‚Â¢ÃƒÆ’Ã‚Â¢ÃƒÂ¢Ã¢â€šÂ¬Ã…Â¡Ãƒâ€šÃ‚Â¬ÃƒÆ’Ã¢â‚¬Å¡Ãƒâ€šÃ‚Â¦I always have something to fix and things are always unstable. I know that some of you might be saying ÃƒÆ’Ã†â€™Ãƒâ€šÃ‚Â¢ÃƒÆ’Ã‚Â¢ÃƒÂ¢Ã¢â€šÂ¬Ã…Â¡Ãƒâ€šÃ‚Â¬ÃƒÆ’Ã¢â‚¬Â¦ÃƒÂ¢Ã¢â€šÂ¬Ã…â€œwhy not use linux based exchange alternatives in your enterprise?ÃƒÆ’Ã†â€™Ãƒâ€šÃ‚Â¢ÃƒÆ’Ã‚Â¢ÃƒÂ¢Ã¢â€šÂ¬Ã…Â¡Ãƒâ€šÃ‚Â¬ÃƒÆ’Ã¢â‚¬Å¡Ãƒâ€šÃ‚Â and IÃƒÆ’Ã†â€™Ãƒâ€šÃ‚Â¢ÃƒÆ’Ã‚Â¢ÃƒÂ¢Ã¢â€šÂ¬Ã…Â¡Ãƒâ€šÃ‚Â¬ÃƒÆ’Ã‚Â¢ÃƒÂ¢Ã¢â€šÂ¬Ã…Â¾Ãƒâ€šÃ‚Â¢d say, why indeed.ÃƒÆ’Ã†â€™ÃƒÂ¢Ã¢â€šÂ¬Ã…Â¡ÃƒÆ’Ã¢â‚¬Å¡Ãƒâ€šÃ‚Â But I inherited this beast and itÃƒÆ’Ã†â€™Ãƒâ€šÃ‚Â¢ÃƒÆ’Ã‚Â¢ÃƒÂ¢Ã¢â€šÂ¬Ã…Â¡Ãƒâ€šÃ‚Â¬ÃƒÆ’Ã‚Â¢ÃƒÂ¢Ã¢â€šÂ¬Ã…Â¾Ãƒâ€šÃ‚Â¢s been Exchange since Exchange came out.ÃƒÆ’Ã†â€™ÃƒÂ¢Ã¢â€šÂ¬Ã…Â¡ÃƒÆ’Ã¢â‚¬Å¡Ãƒâ€šÃ‚Â Not only that, but the primary application for all departments (ERM app) runs completely on Windows and plugs into Exchange and nothing else.ÃƒÆ’Ã†â€™ÃƒÂ¢Ã¢â€šÂ¬Ã…Â¡ÃƒÆ’Ã¢â‚¬Å¡Ãƒâ€šÃ‚Â Talk about vendor lock in eh?ÃƒÆ’Ã†â€™ÃƒÂ¢Ã¢â€šÂ¬Ã…Â¡ÃƒÆ’Ã¢â‚¬Å¡Ãƒâ€šÃ‚Â Well, itÃƒÆ’Ã†â€™Ãƒâ€šÃ‚Â¢ÃƒÆ’Ã‚Â¢ÃƒÂ¢Ã¢â€šÂ¬Ã…Â¡Ãƒâ€šÃ‚Â¬ÃƒÆ’Ã‚Â¢ÃƒÂ¢Ã¢â€šÂ¬Ã…Â¾Ãƒâ€šÃ‚Â¢s a job. I used to work with Linux when I worked for rPath but parted ways with them about a year and a half ago when I had to move away to help out after a death in the family.ÃƒÆ’Ã†â€™ÃƒÂ¢Ã¢â€šÂ¬Ã…Â¡ÃƒÆ’Ã¢â‚¬Å¡Ãƒâ€šÃ‚Â I was very sad to leave but am very happy with the large pay increase that came with my current position.ÃƒÆ’Ã†â€™ÃƒÂ¢Ã¢â€šÂ¬Ã…Â¡ÃƒÆ’Ã¢â‚¬Å¡Ãƒâ€šÃ‚Â However, migrations do take their tollÃƒÆ’Ã†â€™Ãƒâ€šÃ‚Â¢ÃƒÆ’Ã‚Â¢ÃƒÂ¢Ã¢â€šÂ¬Ã…Â¡Ãƒâ€šÃ‚Â¬ÃƒÆ’Ã¢â‚¬Å¡Ãƒâ€šÃ‚Â¦lots of hours worked and frustrations vented.ÃƒÆ’Ã†â€™ÃƒÂ¢Ã¢â€šÂ¬Ã…Â¡ÃƒÆ’Ã¢â‚¬Å¡Ãƒâ€šÃ‚Â Now that IÃƒÆ’Ã†â€™Ãƒâ€šÃ‚Â¢ÃƒÆ’Ã‚Â¢ÃƒÂ¢Ã¢â€šÂ¬Ã…Â¡Ãƒâ€šÃ‚Â¬ÃƒÆ’Ã‚Â¢ÃƒÂ¢Ã¢â€šÂ¬Ã…Â¾Ãƒâ€šÃ‚Â¢m over the hump, IÃƒÆ’Ã†â€™Ãƒâ€šÃ‚Â¢ÃƒÆ’Ã‚Â¢ÃƒÂ¢Ã¢â€šÂ¬Ã…Â¡Ãƒâ€šÃ‚Â¬ÃƒÆ’Ã‚Â¢ÃƒÂ¢Ã¢â€šÂ¬Ã…Â¾Ãƒâ€šÃ‚Â¢ll be able to get back into a normal swing of things. Thanks for hanging in there everyone, and sorry for the inactivity.ÃƒÆ’Ã†â€™ÃƒÂ¢Ã¢â€šÂ¬Ã…Â¡ÃƒÆ’Ã¢â‚¬Å¡Ãƒâ€šÃ‚Â Now that IÃƒÆ’Ã†â€™Ãƒâ€šÃ‚Â¢ÃƒÆ’Ã‚Â¢ÃƒÂ¢Ã¢â€šÂ¬Ã…Â¡Ãƒâ€šÃ‚Â¬ÃƒÆ’Ã‚Â¢ÃƒÂ¢Ã¢â€šÂ¬Ã…Â¾Ãƒâ€šÃ‚Â¢ve hit 6+ years blogging (in December) here I have even more incentive to continue sharing great Linux help with everyone.ÃƒÆ’Ã†â€™ÃƒÂ¢Ã¢â€šÂ¬Ã…Â¡ÃƒÆ’Ã¢â‚¬Å¡Ãƒâ€šÃ‚Â IÃƒÆ’Ã†â€™Ãƒâ€šÃ‚Â¢ÃƒÆ’Ã‚Â¢ÃƒÂ¢Ã¢â€šÂ¬Ã…Â¡Ãƒâ€šÃ‚Â¬ÃƒÆ’Ã‚Â¢ÃƒÂ¢Ã¢â€šÂ¬Ã…Â¾Ãƒâ€šÃ‚Â¢ve got some good tips directly in the pipeline and hereÃƒÆ’Ã†â€™Ãƒâ€šÃ‚Â¢ÃƒÆ’Ã‚Â¢ÃƒÂ¢Ã¢â€šÂ¬Ã…Â¡Ãƒâ€šÃ‚Â¬ÃƒÆ’Ã‚Â¢ÃƒÂ¢Ã¢â€šÂ¬Ã…Â¾Ãƒâ€šÃ‚Â¢s to a great 2010! One habit which I love about Google., testing and rolling out new products and features frequently. People usually refer me as a pro-Google guy and I might need to agree with their views. Tech Crunch reported of Google testing a new product, more of an online storage tagged as Google Cloud Picker. Google has designed a simple tool for adding media content from various Google services. Users or mainly Bloggers would now be able to benefit from other sites and services such a allowing Blogger to insert images or videos from Picasso and YouTube. Google brings in a unified way of embedding content you host on your blog or company site. Besides browsing for content, users can also search for it across the content. Might want to add one more thing, whatever feature or product Google brings out, seems new whereas somewhat a similar feature by Microsoft already existed but consigned to Hotmail only. Most of you might be flocking the web in order to get the first look on Cloud Picker but unfortunately the product is visible to a limited number of Google Apps users. OopsÃƒÆ’Ã†â€™Ãƒâ€šÃ‚Â¢ÃƒÆ’Ã‚Â¢ÃƒÂ¢Ã¢â€šÂ¬Ã…Â¡Ãƒâ€šÃ‚Â¬ÃƒÆ’Ã¢â‚¬Å¡Ãƒâ€šÃ‚Â¦ looks like someone pushed some code too quickly. ItÃƒÆ’Ã†â€™Ãƒâ€šÃ‚Â¢ÃƒÆ’Ã‚Â¢ÃƒÂ¢Ã¢â€šÂ¬Ã…Â¡Ãƒâ€šÃ‚Â¬ÃƒÆ’Ã‚Â¢ÃƒÂ¢Ã¢â€šÂ¬Ã…Â¾Ãƒâ€šÃ‚Â¢s not quite ready for prime time yet but stay tuned! You would have heard the Buzz with increase in Gold membership tariff of Xbox Live game. Recently Microsoft announced in its report that it would be increasing the subscription rate for the famous online gaming service, Xbox live. This increase in subscription rate would be in action from November1. Previously the rate of gold membership was $50 and now, it has been increased to $60. The main countries that will be facing this increase would be US and Canada along with two more countries. When Xbox live game was in to market in 2002, there had been much changes and entertainment experience that has been provided by this game to all audiences and viewers. It was since then that the price was constant. But the entertainment methods and game experiences were being developed to make it audienceÃƒÆ’Ã†â€™Ãƒâ€šÃ‚Â¢ÃƒÆ’Ã‚Â¢ÃƒÂ¢Ã¢â€šÂ¬Ã…Â¡Ãƒâ€šÃ‚Â¬ÃƒÆ’Ã‚Â¢ÃƒÂ¢Ã¢â€šÂ¬Ã…Â¾Ãƒâ€šÃ‚Â¢s favourite online game. Still, after being increase in Xbox live gold membership rate, there would be same backing and patting from audiences about the game. Although you have complete free access to Xbox live game but this online gaming requires you Xbox live subscription, if you want to enjoy it fully. This has become costlier but then when you look at the kind of entertainment provided to you; this is still going to be a hit. If you are within three-month Xbox live subscription then you may have to pay $20 or $25 for those time but later on as you turn to have X Box live gold membership then surely you will have increase in Xbox live gold prices. Many players who want to get involved in to online multi player game, they have already taken Xbox live gold membership. You can look at the completely new tariff plan that has been announced by Microsoft for increasing membership charges. Not much reactions has been seen when Microsoft decided to increase the Xbox live gold membership tariff. One of the reasons is because they continuously come up with latest and updated methods of entertainment. You can see the new Xbox live 360 controllers have been reported with improved D Pad. Sometimes, they also provide discounted Xbox live subscription etc. So all these are means by, which Xbox live game is in touch with viewerÃƒÆ’Ã†â€™Ãƒâ€šÃ‚Â¢ÃƒÆ’Ã‚Â¢ÃƒÂ¢Ã¢â€šÂ¬Ã…Â¡Ãƒâ€šÃ‚Â¬ÃƒÆ’Ã‚Â¢ÃƒÂ¢Ã¢â€šÂ¬Ã…Â¾Ãƒâ€šÃ‚Â¢s choice. It is expected that after the increase in Xbox gold prices too, they will be having the best value in market. Although the Xbox live gold price has gone up, still it is assumed that this game will maintain its reputation. The main reason being that this is the first time after 2002 that it has increased its tariff. Secondly, its entertainment means are updated frequent and that makes all audiences to be in touch with this game. Nobody gets bored with it soon. It is going to be still the favourite game of viewers. So, if you are getting a small hike in the gaming age of 8 years then that is fair enough and not much. Microsoft has finally announced that their Zune service will be expanding internationally, most likely to get ready for the Windows Phone 7 launch. Version 4.7 of the Zune software will allow you to sync via your desktop with your Windows Phone 4 devices and will be available to users in over 20 counties. However, the pricing and details of the service will vary from country to country as Microsoft makes region specific deals for the service. The Zune Pass subscription will come to Spain, Italy, France, and the UK with pricing slated at ÃƒÆ’Ã†â€™ÃƒÂ¢Ã¢â€šÂ¬Ã…Â¡ÃƒÆ’Ã¢â‚¬Å¡Ãƒâ€šÃ‚Â ÃƒÆ’Ã†â€™ÃƒÂ¢Ã¢â€šÂ¬Ã…Â¡ÃƒÆ’Ã¢â‚¬Å¡Ãƒâ€šÃ‚Â£8.99 / ÃƒÆ’Ã†â€™Ãƒâ€šÃ‚Â¢ÃƒÆ’Ã‚Â¢ÃƒÂ¢Ã¢â‚¬Å¡Ã‚Â¬Ãƒâ€¦Ã‚Â¡ÃƒÆ’Ã¢â‚¬Å¡Ãƒâ€šÃ‚Â¬9.99 per month for unlimited streaming and the ability to keep 10 songs per month. Outright music purchases will come in the form of unencumbered MP3 format to Germany, Spain, France, and the UK, while video purchases will be available in Canada, Australia, Germany, UK, France, and New Zealand with playback support on Windows Phone 7, PC, and Xbox Live. There will also be video rentals that can be viewed on Windows Phone 7 devices, PC, and Xbox Live coming to Australia, New Zealand, Mexico, Canada, Austria, Ireland, Switzerland, Netherlands, Belgium, UK, France, Germany, Spain, and Italy. Major entertainment companies provide music and movie catalog to the U.K., France, Italy, Germany and Spain. REDMOND, Wash. ÃƒÆ’Ã†â€™Ãƒâ€šÃ‚Â¢ÃƒÆ’Ã‚Â¢ÃƒÂ¢Ã¢â€šÂ¬Ã…Â¡Ãƒâ€šÃ‚Â¬ÃƒÆ’Ã‚Â¢ÃƒÂ¢Ã¢â‚¬Å¡Ã‚Â¬Ãƒâ€¦Ã¢â‚¬Å“ Sep. 20, 2010 ÃƒÆ’Ã†â€™Ãƒâ€šÃ‚Â¢ÃƒÆ’Ã‚Â¢ÃƒÂ¢Ã¢â€šÂ¬Ã…Â¡Ãƒâ€šÃ‚Â¬ÃƒÆ’Ã‚Â¢ÃƒÂ¢Ã¢â‚¬Å¡Ã‚Â¬Ãƒâ€¦Ã¢â‚¬Å“ Microsoft Corp. today announced the further international expansion of Zune, its digital entertainment service. This fall, Zune will expand its music and video footprint and bring the free Zune software, Zune Marketplace online store, Zune Pass1 music subscription service and enhanced features on Zune.net to new markets, providing a comprehensive entertainment experience on Windows-based PCs, on the go with Windows Phone 7 and in your living room through Xbox LIVE. Zune software has been upgraded with new features and functionality and will serve as the Windows Phone 7 synchronization client. The new software (version 4.7) will be available to download for free in more than 20 countries, including the U.K., France, Italy, Germany and Spain, to easily manage your personal collection of movies, music, podcasts and pictures. Zune software continues to set the standard for entertainment software, providing best-in-class experiences to organize, discover and enjoy digital media with a variety of exclusive features. For example, the Quickplay menu enables immediate access to recently played content and personal favorites, and Smart DJ 3 automatically creates playlists from your personal music collection and takes the extra step of mixing in suggested music from the Zune Marketplace. The updated Zune software will also enable instant streaming of high-definition movies, allowing you to watch some Zune Marketplace movies in HD, with no download time, directly on a Windows PC. Zune Marketplace online store is accessible from within the Zune software and offers the ability to purchase millions of individual songs or albums from its catalog, all in MP3 format. 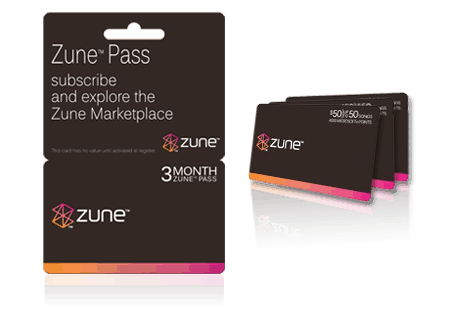 Here, consumers can also subscribe to Zune Pass,4 which provides unlimited downloads and music streaming capabilities from the Zune music library, including content from major music labels such as Universal Music Group, Sony Music Entertainment, EMI Music and Warner Music Group, as well as thousands of independent labels. Zune Marketplace also has a large library of videos from major studios such as Paramount Pictures and Warner Bros. Digital Distribution for purchase or rental. Video purchases will be accessible through Xbox LIVE and Windows-based PCs, and can also be added to a Windows Phone 7. Simply buy your favorite video from Zune Marketplace and watch it on the screen of your choice. Zune.net is the perfect resource for consumers as it allows them to download the software and set up a Zune account with a new or existing Windows Live ID.5 Zune.net will also provide Web access to Zune Marketplace so you can purchase music or use a Zune Pass to stream music directly through an Internet browser,6 as well as purchase video content. As Zune expands internationally, its music and video service will be tailored for each market. Genre experts will custom program Zune Marketplace and feature the top songs, videos, movies and unique promotions for each country. ÃƒÆ’Ã†â€™Ãƒâ€šÃ‚Â¢ÃƒÆ’Ã‚Â¢ÃƒÂ¢Ã¢â€šÂ¬Ã…Â¡Ãƒâ€šÃ‚Â¬ÃƒÆ’Ã¢â‚¬Å¡Ãƒâ€šÃ‚Â¢ Zune Marketplace will extend services to several markets in Europe and beyond. – Music purchase (U.K., France, Italy, Spain and Germany). Expansion to these markets will enable consumers to purchase MP3s and listen on their Windows-based PC, Windows Phone 7 or any other device that supports MP3 format. Users will also be able to purchase music videos to enjoy on Windows-based PC, Windows Phone 7 and Zune on Xbox LIVE. – Movie rental (U.K., France, Italy, Spain, Germany, Austria, Belgium, Ireland, Netherlands, Switzerland, Mexico, Canada, Australia and New Zealand). In addition to Zune video on Xbox LIVE, consumers in these countries will now be able to rent movies for viewing on their Windows-based PC or choose to sync the rental to their Windows Phone 7. The global expansion of the service is the latest step in a series of milestones for Zune, including powering Bing music search results, the added ability to purchase music and video on Zune.net, and the forthcoming integration with Xbox LIVE and Kinect for Xbox 360. By continuing to integrate Zune across the most important screens to consumers, Zune provides an all-in-one music and video service for users to discover, enjoy and experience their entertainment wherever they want. The next big update to Xbox Live is in beta right now, and Microsoft is now looking for a select group of individuals to try out the latest features Xbox Live dashboard. Some of the new features included in the new Xbox Live include Netflix searching, ESPN on Xbox Live, and Zune music integration. Microsoft has officially begun accepting applications for the beta, which is dubbed the ÃƒÆ’Ã†â€™Ãƒâ€šÃ‚Â¢ÃƒÆ’Ã‚Â¢ÃƒÂ¢Ã¢â€šÂ¬Ã…Â¡Ãƒâ€šÃ‚Â¬ÃƒÆ’Ã¢â‚¬Â¦ÃƒÂ¢Ã¢â€šÂ¬Ã…â€œXbox Live update preview programÃƒÆ’Ã†â€™Ãƒâ€šÃ‚Â¢ÃƒÆ’Ã‚Â¢ÃƒÂ¢Ã¢â€šÂ¬Ã…Â¡Ãƒâ€šÃ‚Â¬ÃƒÆ’Ã¢â‚¬Å¡Ãƒâ€šÃ‚Â. If you want to be one of the thousands of participants needed for the preview, you can go sign up here by singing in with Windows Live ID connected to your Xbox Live gamertag, From there youÃƒÆ’Ã†â€™Ãƒâ€šÃ‚Â¢ÃƒÆ’Ã‚Â¢ÃƒÂ¢Ã¢â€šÂ¬Ã…Â¡Ãƒâ€šÃ‚Â¬ÃƒÆ’Ã‚Â¢ÃƒÂ¢Ã¢â€šÂ¬Ã…Â¾Ãƒâ€šÃ‚Â¢ll have to fill out a short survey and hope for the best. Apparently the preview program is available to all Xbox Live member worldwide, with Gold subscription members getting priority over silver members. Starting from Windows Vista Microsoft started rating hardware known as Windows Experience Index (WEI) and based on that rating certain feature of Vista like Aero effect was activated. Same feature is also in Windows 7. WEI might encourage users to have powerful hardware and achieve higher WEI. If you are owner of such power hardware then we are sure you will be eager to share WEI and showoff to the world. Here is WEI Share, a freeware tool to fulfill your desire of sharing WEI with others. 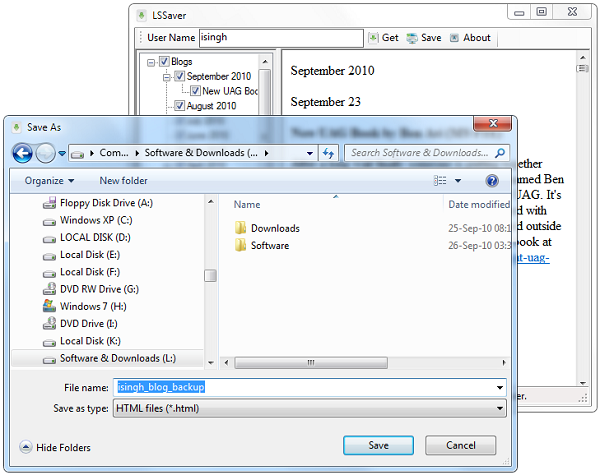 The WEI Share application was developed to be a small tool for sharing your Windows Experience Index (WEI) scores from Windows 7 with others in the community. The data can be explored so finding the best scoring driver for your hardware is fast and easy. 1. See the score a specific model PC or driver gets. 2. Post your machineÃƒÆ’Ã†â€™Ãƒâ€šÃ‚Â¢ÃƒÆ’Ã‚Â¢ÃƒÂ¢Ã¢â€šÂ¬Ã…Â¡Ãƒâ€šÃ‚Â¬ÃƒÆ’Ã‚Â¢ÃƒÂ¢Ã¢â€šÂ¬Ã…Â¾Ãƒâ€šÃ‚Â¢s score to your Facebook wall for bragging rights. 3. Scores can change depending on driver efficiency. WEI Share can tell you the score that each driver gets in configurations closest to yours. 4. Find out how many touch points (min/max) a particular multi-touch PC can get (depending on driver). Microsoft Preparing for October 21st Windows Phone 7 Launch? We have heard many rumors about an October launch for MicrosoftÃƒÆ’Ã†â€™Ãƒâ€šÃ‚Â¢ÃƒÆ’Ã‚Â¢ÃƒÂ¢Ã¢â€šÂ¬Ã…Â¡Ãƒâ€šÃ‚Â¬ÃƒÆ’Ã‚Â¢ÃƒÂ¢Ã¢â€šÂ¬Ã…Â¾Ãƒâ€šÃ‚Â¢sÃƒÆ’Ã†â€™ÃƒÂ¢Ã¢â€šÂ¬Ã…Â¡ÃƒÆ’Ã¢â‚¬Å¡Ãƒâ€šÃ‚Â Windows Phone 7. However, not it seems we are getting some seemingly solid launch dates from the usually reliable Neowin. The site is reporting that anonymous sources are claiming a precise October 21st launch in Italy, France, UK, Spain, and Germany. There also seem to be a number of other reputable publications and blogs confirming this date. Rumors are also stating that the mobile OS along with supported devices will officially be unveiled in New York City on October 11th. While there is no way to confirm any of these rumors with Microsoft being tight-lipped on the Windows Phone 7 launch, we will keep you updated as more information is made available. We reported yesterday that multiple sources were confirming October 11 as the date for an official Windows Phone 7 launch. However, while most reports initially expected the device to be unveiled in New York City, it appears members of the media are being invited to press conference being held by Microsoft in London on October 11. While the invites do not mention anything about what products will be shown off at the event, there will most likely be an unveiling of Windows Phone 7, as well as hands on time with some supported devices. The event will kick off at 2 PM London time (9AM ET) and last until 5:30 PM, giving more than enough time to allow the press to try out devices and ask questions. We will of course be keeping you in the loop with live updates as the press conference is happening. Stay tuned to BlogsDNA.com for the latest updates. We already heard rumors that Office 2011 for Mac would be released on October 26th, but today Microsoft has officially confirmed the release date. To accompany the announcement, they also released another ÃƒÆ’Ã†â€™Ãƒâ€šÃ‚Â¢ÃƒÆ’Ã‚Â¢ÃƒÂ¢Ã¢â€šÂ¬Ã…Â¡Ãƒâ€šÃ‚Â¬ÃƒÆ’Ã¢â‚¬Â¦ÃƒÂ¢Ã¢â€šÂ¬Ã…â€œbehind the scenesÃƒÆ’Ã†â€™Ãƒâ€šÃ‚Â¢ÃƒÆ’Ã‚Â¢ÃƒÂ¢Ã¢â€šÂ¬Ã…Â¡Ãƒâ€šÃ‚Â¬ÃƒÆ’Ã¢â‚¬Å¡Ãƒâ€šÃ‚Â video showing off some of the new features including full screen views for Word. It also shows UI improvements, faster application launch times, and other overall performance increases. You can already preorder Office 2011 for Mac through Amazon, and soon enough many other retailers. You can check out the video below. Windows Live Spaces a blogging & social networking platform from Microsoft is all set to shutdown however the move has brighter side, all the blogs on live spaces will be migrated to wordpress.com easily on owners will and for that you will have six months of time. Also your old spaces urls will be redirected to new blogs, so that you donÃƒÆ’Ã†â€™Ãƒâ€šÃ‚Â¢ÃƒÆ’Ã‚Â¢ÃƒÂ¢Ã¢â€šÂ¬Ã…Â¡Ãƒâ€šÃ‚Â¬ÃƒÆ’Ã‚Â¢ÃƒÂ¢Ã¢â€šÂ¬Ã…Â¾Ãƒâ€šÃ‚Â¢t loss visitors. Another feature which Live Spaces owner will get after migrating to WordPress.com is ability to share updates with their messenger friends. But in case you are not in favor of migrating to WordPress.com and want to just backup all your articles, Comments ÃƒÆ’Ã†â€™ÃƒÂ¢Ã¢â€šÂ¬Ã…Â¡ÃƒÆ’Ã¢â‚¬Å¡Ãƒâ€šÃ‚Â & images then here is nifty tool, LSSaver. 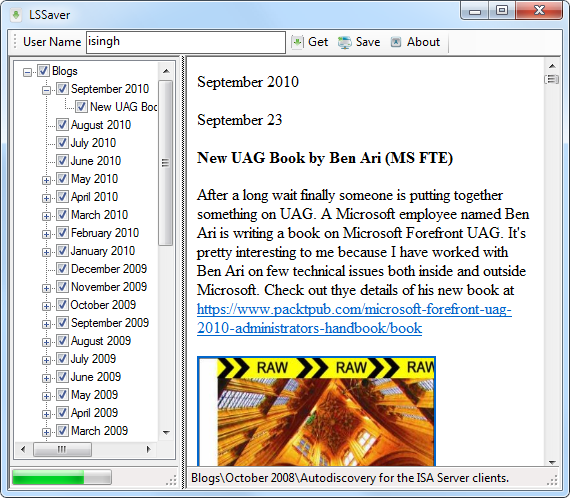 LSSaver saves useful information such as, blog title, content and comments. In particular, without any banners, links which provide blog functionalities or eye candy (static html pages). Just enter you username and click on get button. The tool is not just for Live Spaces blog owner, If you like some blog and fearing blog author might not migrate to WordPress then use to tool to make local copy on your hard disk. Your blog must have Public access. Login with password is not supported. (You can grant Public access, save it with LSSaver, then reset the access). You cannot select blog comments, all comments of a post are saved together if the post is saved. Currently, only HTML format is support as saved file. This free version does not support saving Albums. Album and photo comments will be supported in future version. The image right above is no-mockup. This is an actual screenshot of aÃƒÆ’Ã†â€™ÃƒÂ¢Ã¢â€šÂ¬Ã…Â¡ÃƒÆ’Ã¢â‚¬Å¡Ãƒâ€šÃ‚Â Windows 8 desktop just after a clean install courtesy Winreview.ru. Today morning the rumors started that Windows 8 has made its way to Microsoft Connect. Just hours later, the entire installation process of Microsoft Windows 8 has been captured with screenshots. The entire installation process has a ÃƒÆ’Ã†â€™Ãƒâ€šÃ‚Â¢ÃƒÆ’Ã‚Â¢ÃƒÂ¢Ã¢â€šÂ¬Ã…Â¡Ãƒâ€šÃ‚Â¬ÃƒÆ’Ã¢â‚¬Â¦ÃƒÂ¢Ã¢â€šÂ¬Ã…â€œMetro designÃƒÆ’Ã†â€™Ãƒâ€šÃ‚Â¢ÃƒÆ’Ã‚Â¢ÃƒÂ¢Ã¢â€šÂ¬Ã…Â¡Ãƒâ€šÃ‚Â¬ÃƒÆ’Ã¢â‚¬Å¡Ãƒâ€šÃ‚Â which is not a surprise anymore. Microsoft is expected to release Windows 8 OS by 2012 and the most possible retail availability looks to be somewhere around 2013. But rumors are going strong that a beta of Windows 8 OS may come as soon as this September. We have already posted about speculations of some Windows 8 features. 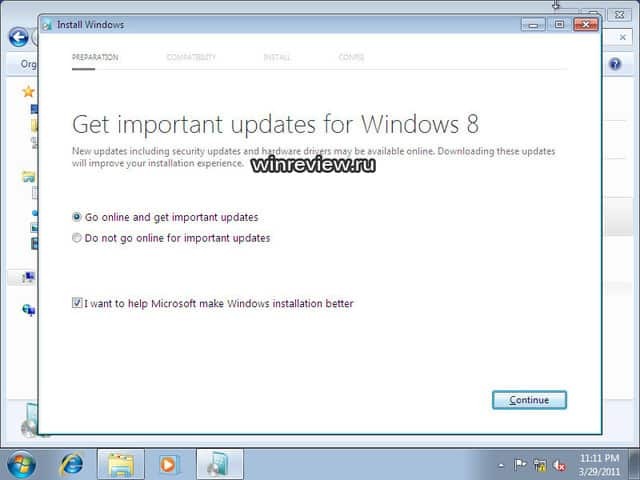 To see the complete set of screenshots of entire Windows 8 installation process, you can headover to Neowin. During Windows 7 beta days we had tried out best to report every Windows 7 build leaks and now since Windows 8 is under development and leaks are started coming we have once again focused our concentration on Windows 8 reporting. Here is first milestone leak of Windows 8, Beta archive is reporting Windows 8 Milestone 1 leak which is available on their private FTP server with the complete buildÃƒÆ’Ã†â€™ÃƒÂ¢Ã¢â€šÂ¬Ã…Â¡ÃƒÆ’Ã¢â‚¬Å¡Ãƒâ€šÃ‚Â number 6.1.7850.0.winmain_win8m1.100922-1508_x86fre_client-enterprise_en-us.iso Currently the build is not available as a public torrent but will be soon shared to public in a few hours. The various screenshots of Windows 8 displaying features are already leaked on internet. We highly doubt that the leaked build of Windows 8 will have any of these features. Stay tuned with us for more on Windows 8 and leaked builds. Few weeks back we had posted story about Internet Explorer 10 upgrade dialogue box found in Internet Explorer 9 resource files. At that time it was difficult to believe Microsoft would have started working on next generation Internet Explorer but thatÃƒÆ’Ã†â€™Ãƒâ€šÃ‚Â¢ÃƒÆ’Ã‚Â¢ÃƒÂ¢Ã¢â€šÂ¬Ã…Â¡Ãƒâ€šÃ‚Â¬ÃƒÆ’Ã‚Â¢ÃƒÂ¢Ã¢â€šÂ¬Ã…Â¾Ãƒâ€šÃ‚Â¢s the fact. Microsoft has unveiled Internet Explorer 10 at Mix 11. MIX is the annual event where Microsoft showcased Internet Explorer 9 technical preview for first time about year ago. With the announcement of Internet Explorer 10 Microsoft has also made IE 0 technical preview available for download to the developer to show what IE 10 can do. In this release, Microsoft is showcasing support for CSS3 Flex-box, CSS3 Grid Alignment, CSS3 Multi-column, CSS3 Gradients on background-images and ECMAScript5 Strict Mode. At the moment technical preview is only available for Windows 7 32 & 64 bit. The enthusiastic web developers may head over to below link to download Internet Explorer 10 technical preview build. A recently leaked Windows 8 milestone 3 video showcased many new features of Windows 8 of which one interesting features of Windows 8 was ability to set video as user profile pictures in Taskbar tiles. On Windows 7 and Vista only images are supported. If you want enjoy Windows 8 Taskbar Tiles Video profile feature on Windows 7 then here is how to get it. Please keep in mind that only video with wmv format is supported at the moment. Step 3: Now Edit Config.ini file and change the AvatarPath to the video file (.wmv) path that you want to set as Taskbar user picture tile. Step 4: ThatÃƒÆ’Ã†â€™Ãƒâ€šÃ‚Â¢ÃƒÆ’Ã‚Â¢ÃƒÂ¢Ã¢â€šÂ¬Ã…Â¡Ãƒâ€šÃ‚Â¬ÃƒÆ’Ã‚Â¢ÃƒÂ¢Ã¢â€šÂ¬Ã…Â¾Ãƒâ€šÃ‚Â¢s it execute UserTile.exe to make the changes into effect. Winfuture has once again got hands on new Windows 8 Build 7959 and they have published screenshots of modern taskmanager running on Windows 8 Build 7959. Nothing more can be seen from screen. It should be noted that Microsoft is much ahead in Windows 8 development than what you may conclude from leaked screenshot which are from much older Windows 8 builds. We know itÃƒÆ’Ã†â€™Ãƒâ€šÃ‚Â¢ÃƒÆ’Ã‚Â¢ÃƒÂ¢Ã¢â€šÂ¬Ã…Â¡Ãƒâ€šÃ‚Â¬ÃƒÆ’Ã‚Â¢ÃƒÂ¢Ã¢â€šÂ¬Ã…Â¾Ãƒâ€šÃ‚Â¢s hard to believe the title of the post and not many Apple fan boys will ever appreciate it but it looks this could become reality very soon. The ModMyI forum member LaGGaH has posted alleged screenshots of what he says is Windows 7 running on iPod Touch & he is planning to upload full Windows 7 Ultimate Soon! At the moment following features seems to be working. We do have reasons for not to believe in these screenshots, it could be VNC viewer running on iPod Touch or this is just Windows 7 look alike theme for iPod Touch. But possibilities canÃƒÆ’Ã†â€™Ãƒâ€šÃ‚Â¢ÃƒÆ’Ã‚Â¢ÃƒÂ¢Ã¢â€šÂ¬Ã…Â¡Ãƒâ€šÃ‚Â¬ÃƒÆ’Ã‚Â¢ÃƒÂ¢Ã¢â€šÂ¬Ã…Â¾Ãƒâ€šÃ‚Â¢t be discarded as Android is already ported to iPhone & iPod Touch and several other smartphones in past like Sony Ericsson Xperia was hacked to run Ubuntu, Nokia N900 booted with Ubuntu Mobile. Microsoft has scheduled a press conference in NYC on May 24, 7.00 a.m PDT/ 10 a.m EDT. The event will be all about next major release of Windows Phone OS. It is expected that Microsoft will unveil Windows Phone 7.5 aka Mango Update which is long due after Windows Phone 7 NoDO Update. The event is invitation based and only few selected Medias & blogs are invited for the event. The event will be mainly on Mango Update and new features of Windows Phone 7.5, multiple sources have confirmed that event will be mostly on software updates and there wonÃƒÆ’Ã†â€™Ãƒâ€šÃ‚Â¢ÃƒÆ’Ã‚Â¢ÃƒÂ¢Ã¢â€šÂ¬Ã…Â¡Ãƒâ€šÃ‚Â¬ÃƒÆ’Ã‚Â¢ÃƒÂ¢Ã¢â€šÂ¬Ã…Â¾Ãƒâ€šÃ‚Â¢t be any hardware related announcements at the event. Steve Ballmer speaking at Japanese Microsoft Developer Forum 2011 said that Windows Phone 7.5 Mango Update will introduce about 500 new features and new development tools for Mango should be released by end of the week. Internet Explorer 9 mobile, better instant messaging and Twitter integration, turn by turn navigation, fast-app-switching and third party multitasking are some of the best guesses which will make into Mango update. Windows Phone enthusiasts definitely donÃƒÆ’Ã†â€™Ãƒâ€šÃ‚Â¢ÃƒÆ’Ã‚Â¢ÃƒÂ¢Ã¢â€šÂ¬Ã…Â¡Ãƒâ€šÃ‚Â¬ÃƒÆ’Ã‚Â¢ÃƒÂ¢Ã¢â€šÂ¬Ã…Â¾Ãƒâ€šÃ‚Â¢t want to miss this press conferences updates. If you are one of those who are looking to watch Microsoft Windows Phone Mango Preview event live online then here is the link for you. (We are unsure whether Microsoft will live broadcast Window Phone Mango event or not). Keep checking Microsoft Windows Phone 7 VIP Preview Press Conference Page during the event. You can always follow below blogs for live updates from Windows Phone Mango Preview event . Stay tuned with us for more on Windows Phone 7.5 Mango Preview event. Often Microsoft name is widely associated with software and Operating System and many doesnÃƒÆ’Ã†â€™Ãƒâ€šÃ‚Â¢ÃƒÆ’Ã‚Â¢ÃƒÂ¢Ã¢â€šÂ¬Ã…Â¡Ãƒâ€šÃ‚Â¬ÃƒÆ’Ã‚Â¢ÃƒÂ¢Ã¢â€šÂ¬Ã…Â¾Ãƒâ€šÃ‚Â¢t know Microsoft also manufactures some of the cool hardware products for PC such as keyboard, mice, webcam, headsets and Microsoft LifeCam HD webcam is quite popular amongst podcasters. In wireless keyboard and mouse category Microsoft has some of the best ergonomic and travel friendly products & Microsoft Arc Touch mouse is one of them. Today we got the chance to review Microsoft Arc Touch mouse. To start with review, Microsoft Arc Touch mouse comes in nice small red box package. The box contains Arc touch mouse, two alkaline AAA size batteries, USB transceiver and a product guide. Unfortunately Product guide isnÃƒÆ’Ã†â€™Ãƒâ€šÃ‚Â¢ÃƒÆ’Ã‚Â¢ÃƒÂ¢Ã¢â€šÂ¬Ã…Â¡Ãƒâ€šÃ‚Â¬ÃƒÆ’Ã‚Â¢ÃƒÂ¢Ã¢â€šÂ¬Ã…Â¾Ãƒâ€šÃ‚Â¢t useful in describing Arc mouse usage or even providing any definitive steps of installation. The USB based nano transceiver was tuck to the back of mouse with the help of magnet; we must say it is quite innovative and creative idea to keep transceivers handy while travelling. First time when you take out Arc Touch mouse out of the box you will be surprised with its flatness and compact design. It has nice soft rubbery material at the second half which provides nice gripe for hands and has regular mouse design at the front however one change, instead of roller for scrolling Arc Touch mouse has flat touch scroll pad. Microsoft Arc Mouse uses Microsoft Blue Track technology which offers same performance and experience on any type of surface including rough wood surface or your living room carpet except clear glass or mirrored surfaces. Arc Touch mouse has pretty good range support, you can use mouse up to 30 feet away from nano transceiver. You can turn on Arc Touch mouse by just bending mouse in to curve. As soon as Arc Touch mouse is turned on a green LED light will turn on for brief moment at top of Arc touch mouse which is good indicator of mouse is on. The installation of Microsoft Arc Touch mouse looked complicated initially but it wasnÃƒÆ’Ã†â€™Ãƒâ€šÃ‚Â¢ÃƒÆ’Ã‚Â¢ÃƒÂ¢Ã¢â€šÂ¬Ã…Â¡Ãƒâ€šÃ‚Â¬ÃƒÆ’Ã‚Â¢ÃƒÂ¢Ã¢â€šÂ¬Ã…Â¾Ãƒâ€šÃ‚Â¢t at all. You just need to insert batteries and connect transceivers to PC or Laptop and you are good to go, though you do need Internet connection for Windows to download required drivers for Arc Touch mouse operation. Being Microsoft product you really donÃƒÆ’Ã†â€™Ãƒâ€šÃ‚Â¢ÃƒÆ’Ã‚Â¢ÃƒÂ¢Ã¢â€šÂ¬Ã…Â¡Ãƒâ€šÃ‚Â¬ÃƒÆ’Ã‚Â¢ÃƒÂ¢Ã¢â€šÂ¬Ã…Â¾Ãƒâ€šÃ‚Â¢t need to research on drivers as Windows will automatically start downloading drivers as soon as you connect transceiver to PC/Laptop and Arc Touch is on. Unfortunately apart from scroll pad there is no substantial difference between Arc Touch mouse and any regular mouse. Scroll pad does offers handy way of scrolling & has slight vibration feedback every time you glide your finger up or down the scroll pad. Arc mouse has left and right click button like regular mouse but in order to properly hit mouse button you figures should reach to the rear end of arc mouse buttons. 2. USB based Nano transceiver blocks your USB port, your one USB port will be always in use which could be issue for the owners of those netbooks which comes with just one or two USB ports. Arc touch mouse is definitely innovative product from Microsoft but it can not replace your good old regular mouse when you need to work on PC for long hours and productivity is the matter and the price of $59.95 at which Arc touch mouse comes you can get much better ergonomic mouse for your day to day use. That said Arc Touch Mouse is best if mobility is what you are looking for.